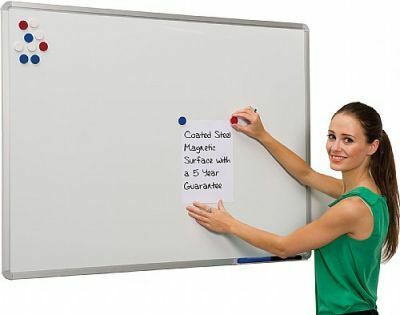 Economically priced, this PV Coated Steel Whiteboard is less expensive than Vitreous enamel surfaces yet still offers the same great benefits of writing on an ultra-smooth surface and clear displays. Featuring a stylish anodised Aluminium frame this whiteboard can be used in either portrait or landscape and is available in six size options. For larger sizes installation can be provided.